2014 IWSC Silver Outstanding (Scotch Single Malt – Speyside). Super fruity pears and stewed apples. Pear cider. Poached pears with cinnamon and nutmeg. Syrup soaked pie crust. Despite being really sweet and bursting with fruit there are no synthetic sweet scents which is quite unusual for me. Grape juice. Bit of vanilla and toffee. A richness like red wine. Rich warming fruits like biting into a fresh baked pie. Bit of spice. Very gentle tannins. Gentle oak. Great mouth feel. Really coats the mouth and then you can taste an feel the vapours emanating spiced apple cider. Kind of malty and diluted fruit syrup. Some licorice spice. Quite a lovely dram. The nose is fantastic. Just love that fruitiness. The body/taste is fun. The finish is a little short but still good. Definitely would enjoy drinking this at any occasion. Orange peels and wood shavings. Cinnamon and earthy notes of moss and damp leaves. Rich liked dried fruits coupled with vanilla and honey. A nice complete dram. 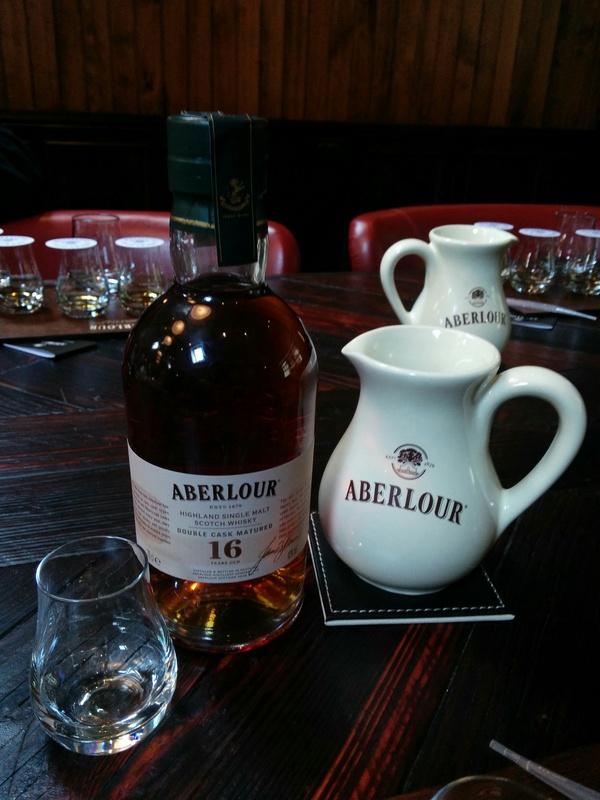 More to offer than the younger standard range (Aberlour 10).